Airtel DTH offers HD channels, an unparalleled viewer experience and the ability to turn your TV into a Smart TV. What else does one need from their TV set? You’ve been watching TV all your life – or have you? Does that seem like a strange question? Of course, you’ve been watching TV all your life! But what really qualifies as proper ‘TV watching’? Is it enough merely to have some channels on your TV whenever you switch it on? Are you completely satisfied with the quality of programming and services that your cable TV operator is currently offering you? 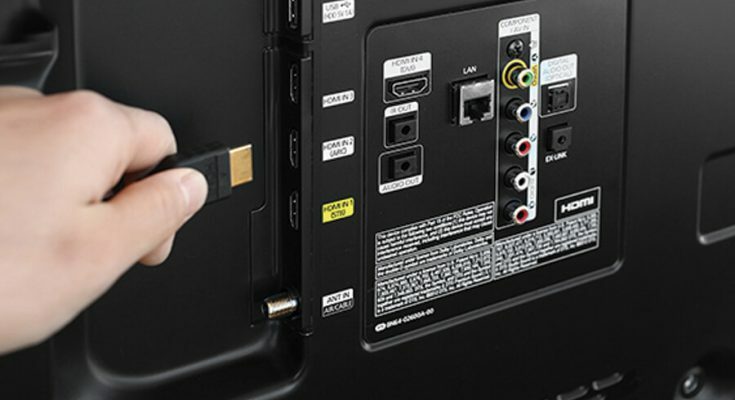 If you are not satisfied with your cable TV connection, then it’s time to stop suffering in silence and get a DTH HD connection that will unleash a new, wonderful world of a TV for you. All the best new shows, the freedom to watch the channels that you like and pay only for what you watch, crystal clear picture quality, deep and resonant sound, and many add-on benefits of the DTH connection make it a complete steal for you. Once installed, you will see what an immersive television experience really means. There is simply no reason why you should still be stuck with your old cable TV connection. Honestly, is there a single redeeming quality in your existing cable connection that makes it better than a DTH connection? * Choose your preferred channels. Cable TV operators do not give customers the choice to pick the channels that they want to watch. You are given a generic bunch of channels, with a mix of genres. So, you are saddled with a lot of channels that you are never going to watch, and no chance to get them off the list and substituted with others, either. But with a DTH connection, you can choose your channel pack based on what you like and are most likely to watch, so you pay for what you want to watch and not other channels (see the illustration above for an idea of the base packs that Airtel offers). * No HD channels with cable TV: Cable TV operators do not offer HD channels at all. If you are missing out on quality programming that beams on HD channels, you will have to get a DTH HD connection. * Price: Though cable TV connections were often priced much less than DTH HD connections, even that hurdle has now been removed by leading providers like Airtel. When you take an Airtel DTH connection, you get a base pack at just Rs 292. That’s cheaper than a monthly cable TV connection! * Excellent picture quality: Have you ever been truly satisfied with the picture and sound quality of your cable TV connection? The image freezes inexplicably and is restored by the time you’ve missed a big chunk of the programme you were watching. Or if the cable operator has not settled bills with broadcasters, then certain channels are abruptly blacked out. Meanwhile, the colors often appear dull, and in bad weather, you may not receive the transmission or get a really poor one. None of these things happen with a DTH connection from Airtel – you get the best picture quality, consistent transmission despite poor weather, and an HD-compatible set top box for your expensive LED or plasma TV set. Airtel DTH has a simple purchase and installation process. You can finish booking the pack and having it installed in your house in just a week. Then all you need to do is sit back and enjoy watching the programmes and movies that you want.